Home/News/A Wizard of Oz in ADAS&ME Project!? A Wizard of Oz in ADAS&ME Project!? 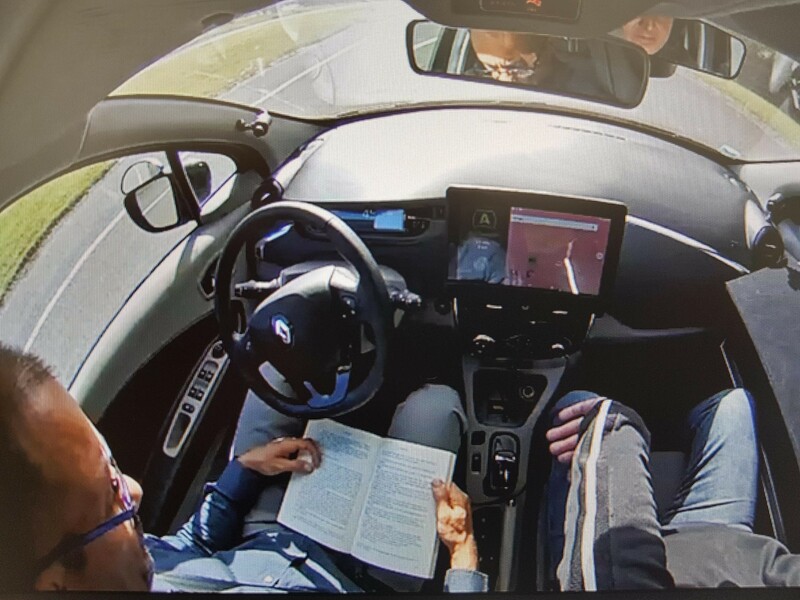 Studying a driver’s state of mind during automation phases, which is at the heart of many use cases in ADAS&ME requires the ability to observe and record his/her behaviour in a natural environment. However, for safety issues, traditional autonomous vehicles do not allow the study of naïve drivers during automated driving phases in an open-road environment. To tackle this issue, Institut VEDECOM has developed an instrumented platform which allows a specially trained pilot to assume manual control of the vehicle during autonomous driving phases, without the driver noticing. This platform will allow the accurate study of electric vehicles drivers’ range anxiety and of the efficiency of HMI strategies developed in Use Case B in mitigating this state.